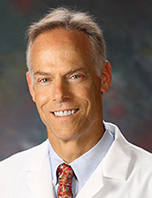 Dr. Brooks, a Diplomate of the American Board of Psychiatry and Neurology, graduated Phi Beta Kappa from the University of North Carolina at Chapel Hill. He received his undergraduate degree from the University of North Carolina at Chapel Hill and earned his doctor of medicine degree at the University of Tennessee in Memphis where he served on the Honor Council. After the completion of his Psychiatry Residency at the University of Tennessee where he served as Chief Resident, Brooks joined the faculty of the UT College of Medicine where he served as Medical Director of the university’s psychiatric emergency services. After leaving Memphis to enter private practice in Lewiston, Maine, he served as the president of the Maine Association of Psychiatric Physicians and served as Maine’s Representative to the Assembly of the American Psychiatric Association. Brooks worked at community mental health centers in Damariscotta, Maine and Portland, Maine before completing his Fellowship in Geriatric Psychiatry at Brown University in Providence, Rhode Island. He is a Distinguished Fellow of the American Psychiatric Association. Brooks is an associate professor in the University of South Alabama College of Medicine Department of Psychiatry, the psychiatry clerkship director for third year medical students, and the co-course director for the Fundamentals of Doctoring II course for second year medical students. He was named Faculty Teacher of the Year in 2012 and 2014 by the USA Department of Psychiatry.